MOSCOW (Sputnik) — Chinese and Pakistani ministers signed a total of six Memorandums of Understanding on Saturday to improve economic relations between the two Asian nations and to implement joint projects, local media reported. 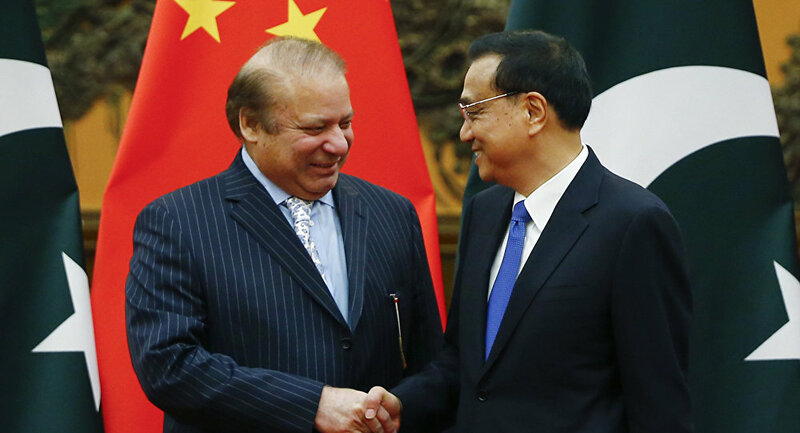 According to the Daily Pakistan Global, the signing ceremony was attended by Chinese Prime Minister Li Keqiang and his Pakistani counterpart Nawaz Sharif. The memorandums are related to cooperation within the framework of the Silk Road Economic Belt and Maritime Silk Road, as well as to cooperation on a number of projects, such as Gwadar port and East Bay expressway and Havelian Dry Port and ML1 Karachi-Peshawar railway project. The Memorandums were signed during the visit of the Pakistani delegation headed by Sharif to China in order to attend the Belt and Road Forum for International Cooperation in China on May 14-15. China-Pakistan Parade: Is Beijing Sealing Role of Top Player in Asia-Pacific?